Wildflower Wax Candle Studio: ATTENTION HELENA!!! 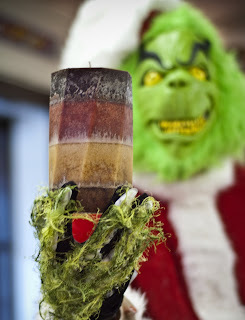 The Grinch may be coming to YOUR House! Oh, how exciting and fun! We will have hot chocolate ready just in case! Have fun and what a GREAT thing to do for Helena!!! Hate he didnt come to our house. We love the Grinch!